Cecil Haley, 83, of Shirley passed away Friday May 19, 2017 at Ozark Health in Clinton. Born August 23, 1933 to the late Cecil and Katherine Haley Pitts in Dyersburg, TN. 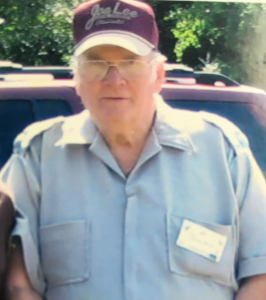 , Cecil was a US Army veteran of the Korean Conflict and a retire river boat pilot on the Mississippi River for 52 years. Cecil was a member of the VFW and a fixture at the Huddle House every morning. Left to cherish his memory are his son; sisters, Louise Royer and Jean Palmer; his family at the Huddle House; as well as other family and friends.